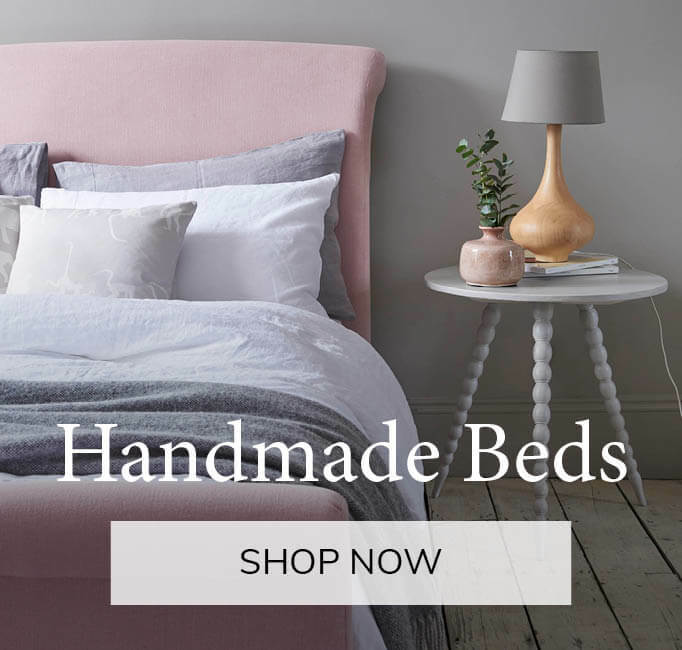 We make all of our sofas and beds in England. We're pretty proud of this. 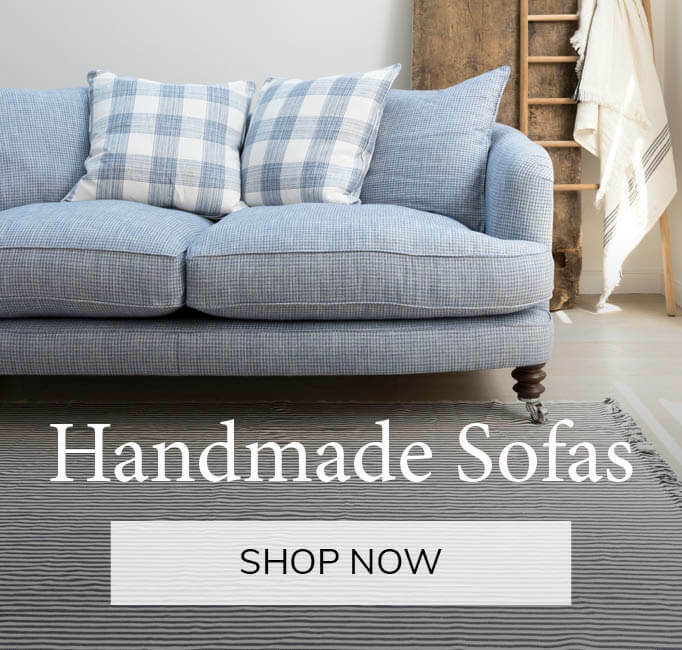 Unlike most things nowadays, that seem to be made in the Far East or Eastern Europe, the UK is still a powerhouse in making really beautiful, great quality sofas, using traditional skills honed over hundreds of years. We get our sofas to you quickly - no hanging around waiting for a container from China, or a truck from Europe. In fact we deliver in about half the time of most of our competitors. Fancy a beautiful velvet devoré, Loose Covers for Sofas, a 50's linen print, or a Scottish wool plaid, and in the time it takes to plump your seat cushions we will have it in production in our factory. We can make a unique custom sofa to meet your exact requirements. 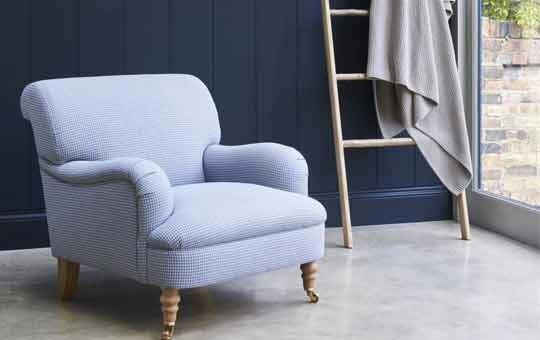 Anything from a 5 seater corner sofa to an extra slim sofa, no job is too big or small. 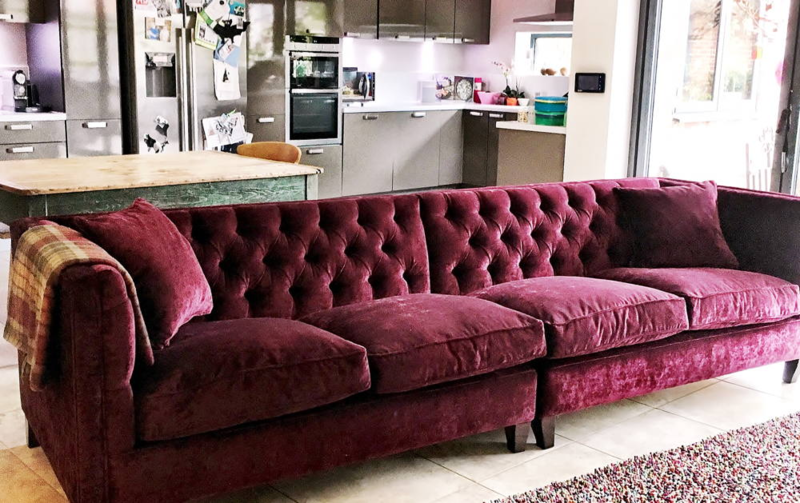 Call us if you’d like to discuss ordering a wider or deeper sofa: it is sometimes possible to arrange this on certain handmade models without creating a fully bespoke sofa. All our sofas carry a lifetime construction guarantee. It covers the feet and frame, springs, webbing, and sofabed mechanisms. Everything you can't see, except the seat cushion fillings. But don't worry about them. They'll retain their shape and comfort for years. Why? Read on. Underneath it all: the sturdy frame. We've tried a variety of ways to improve frames. But actually the traditional European hardwood is best, pinned and glued (to a life time guarantee). Retro shapes are really tricky to make. Stane Street had its frame prototyped by a surf board manufacturer. What a dude. 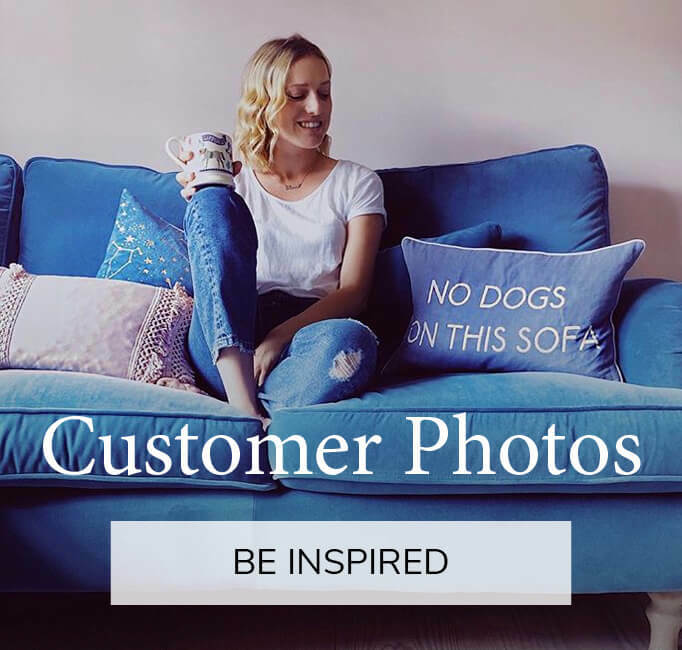 Our in-house expert (my wife, Julia) has found that when someone's unhappy with a sofa, the seat cushions are mostly to blame. 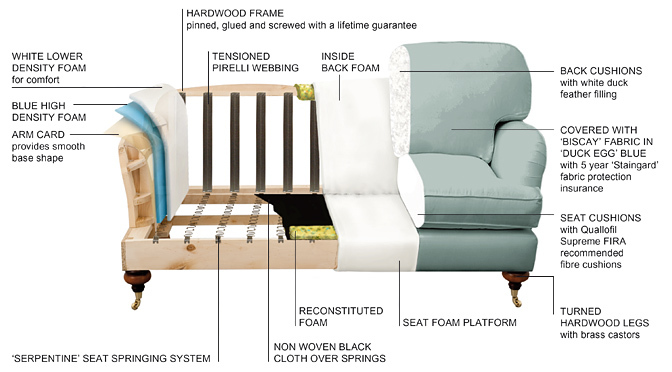 There isn't much new technology in our sofas; we like to make them the traditional way. 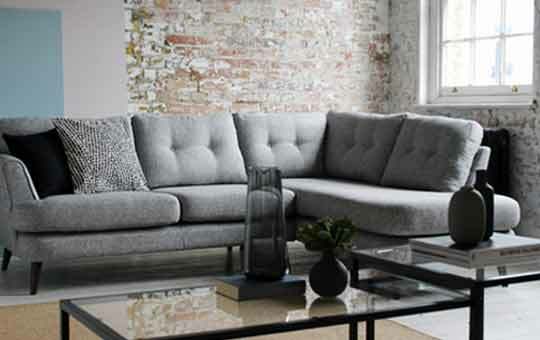 Our cushions however are a veritable hotbed of innovation, and our Quallofil Supreme interiors are, according to FIRA, (the Furniture Industry Research Association) the best on the market, for returning to their original shape, after plumping. This is because we use new Monopolymer fibre; pause for large yawn. To you and I this means the fibres act like a coiled spring. Need I say any more? Yes I do, on second thoughts. Even coiled springs if they are never turned will loose their elasticity. 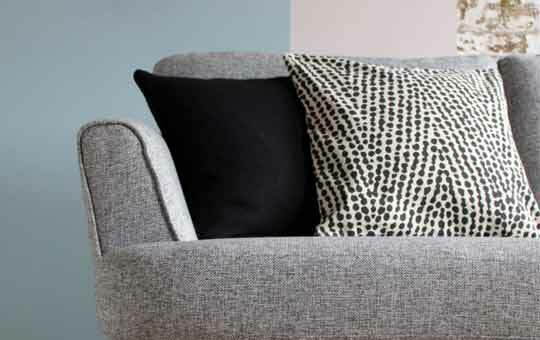 So the key to good maintenance of your fibre seat cushions or Loose Covers for Sofas is to turn them regularly and give them a good regular pumelling. I cannot stress this point enough. The company line is "why wash your covers, when you can get them dry cleaned?". Years of experience has taught us that people rarely stick to the washing instructions, and so end up with Loose Covered Sofas, too small to fit on again easily. 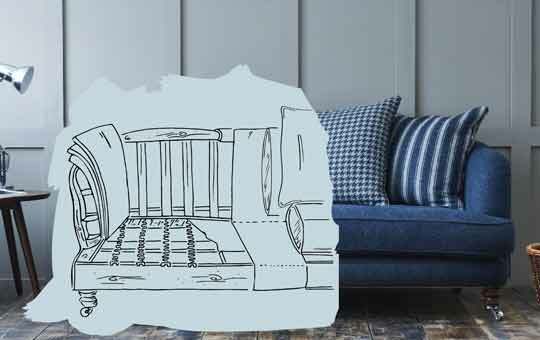 Overbury in Ticking There has also been a move away, in recent years, from the really baggy shabby loose cover, to a loose cover sofa that actually looks like it is a tight or fitted cover. This means that, unlike its more shabby cousin, where there was lots of room for shrinkage, the tight version, rather like the skinny jean, becomes a real battle to get back on, especially as your sofa, unlike you, has no ability to hold its breath, hold in its stomach and wriggle its way back on! For those of you still interested in washable covers, please read on but remember, you have been warned! The washable loose cover, ideal for grubby fingers and muddy dogs, obviously has been around for ever. But in fact, not before 1989. That year I found them at Shabby Chic in SoHo, New York. Brilliant, I thought, and brought the idea home. Then I found how tricky a loose cover sofa bed were to make. But we ironed out the manufacturing wrinkles, and we've been making them ever since. Top tips! Never wash your loose covers for sofas above 30°C or tumble-dry them. They'll shrink. Never ever use detergents with Optical Brighteners or Whiteners in them, because the chemicals in these detergents take the colour out of your covers. If you are unsure, contact the detergent manufacturer before washing. Always fit loose covers when still damp, and tuck them in with a wooden spoon. At one time leather sofas all looked Victorian and sat like a brick. And only lads bought them. Basically the tanning process made them that way. I wanted to come up with something better, and from 1988, I tried with a Dutch tannery. Progress was slow. 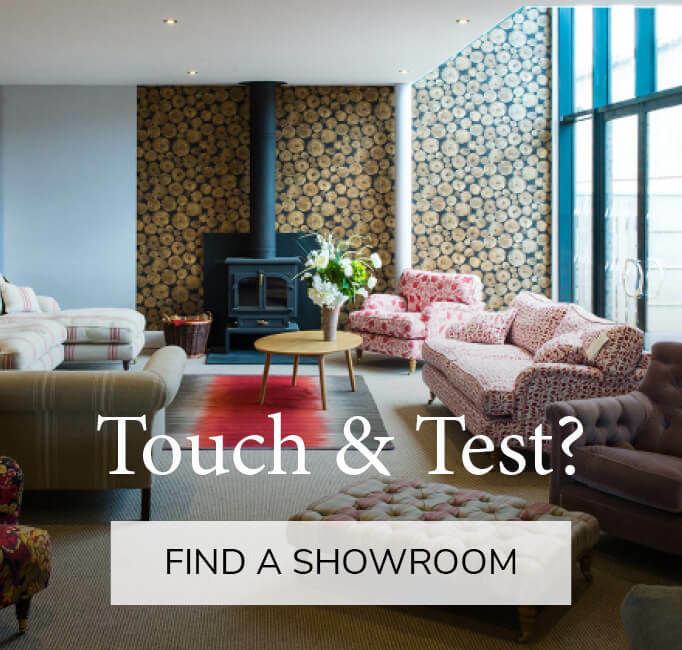 But when my wife Julia (no fan of leather sofas) told me how lovely and soft the sofa in our showroom was, I knew we'd cracked it. Soft leather! 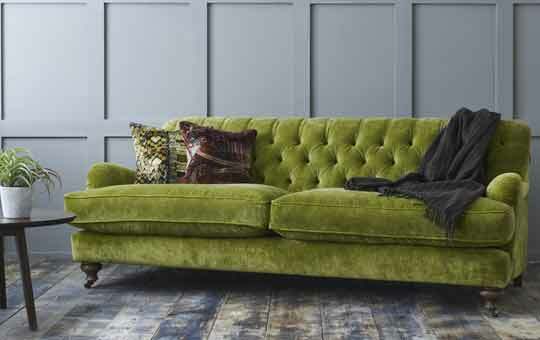 Now, even though most sofas are bought by women, over half the sofas sold in the UK are leather.